When I first started this blog, I used to chuckle that I felt like I was writing for the underground. Nobody wanted to admit that they talked to me, yet when I walked through the halls at schools I would get silent smiles and a thumbs up. But as time has gone by, things are continually getting less amusing as this administration has more and more taken on the role of an occupying force. I’m currently reading a novel that utilizes Algiers and the French occupation as a backdrop. The similarities between France’s imperial colonist approach to governing Algiers and Dr. Joseph and his team’s approach to governing MNPS are not lost on me. But think about it. The French believed that the people of Algiers were made up of ignorant people who needed the French to bring them to civilization and modernization. The French cultivated sympathizers but never allies. No matter how closely Algerians worked and collaborated with the French, the lines between the two never blurred. It was always the enlightened modern French and the uncivilized Algerians. Not much different from at MNPS. I’m sensitive to the implications of comparing an administration made up of African-Americans with past imperialists that victimized countries made up primarily of people of color. However, I believe the analogy fits because of the way Dr. Joseph has conducted business. There has never been an effort for him to become ingrained in Nashville. Rather all efforts were made to convert Nashville to his way of thinking, much like occupiers throughout history. 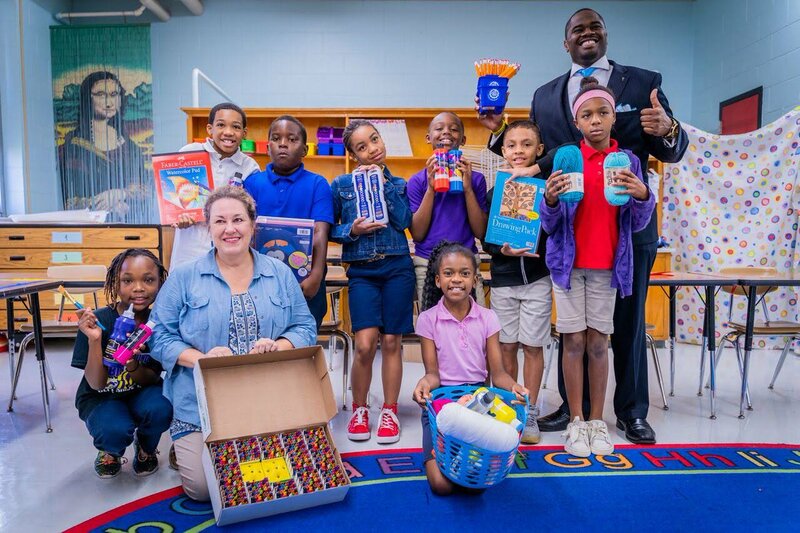 There was never an effort to seek out the successes of Nashville educators and build upon them. 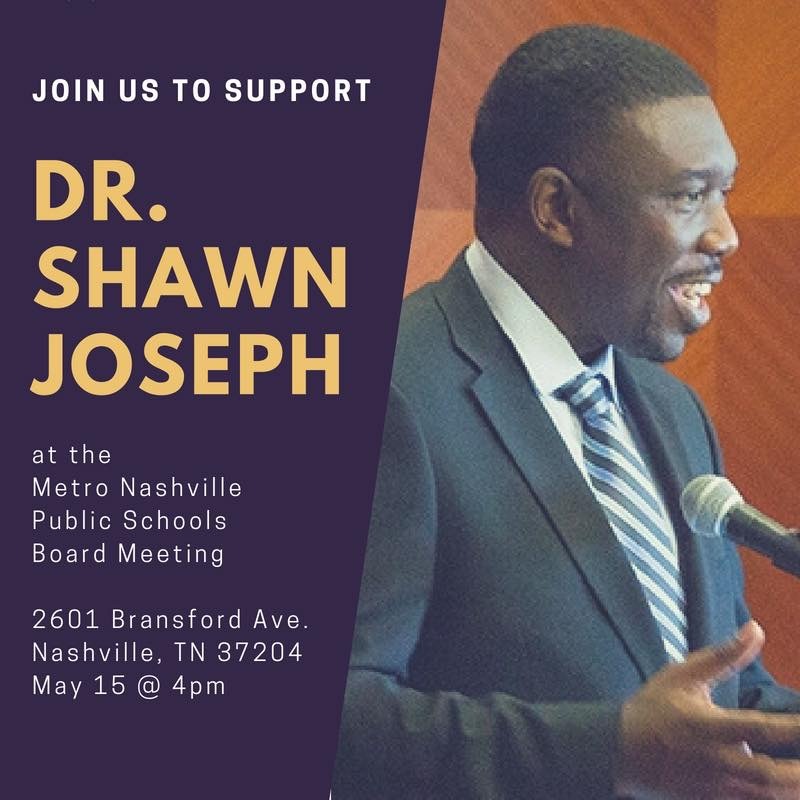 Instead there was a continual reinforcing of the narrative that MNPS was a failing district in a state of crisis that required a savior, namely Dr. Joseph. The people on his team, abetted by certain members of the school board, did everything they could to compound that narrative. Dr. Joseph and his team utilized local talent on some level, but only as long as they toed the party line and didn’t raise questions. Those who defied were quickly ousted. Walk through central office these days and you’ll see few faces that were present just a couple of years ago. If you want to stay employed, you better offer support even if you recognize bad policy. I think back to Paul Changas’ impassioned words before the board a few weeks ago, claiming that nobody puts words in his mouth. Yet he continually supports Dr. Joseph’s use of MAP testing for things it was never intended to be used for, implicitly giving credibility to such usage. We continue to use MAP as a screener, which it is not designed for, and despite Special Ed students and English Learners not getting the accommodations that they are entitled to, Changas continually defends the fidelity of the data. In doing so, who is he fighting for, students or Dr. Joseph? That may seem harsh towards Dr. Changas, and in all fairness, he’s not the only one guilty of such actions. There are plenty of others who offer up support to what they surely recognize as bad policy. With the way that recent sexual harassment issues were handled, who were HR heads Deborah Story and Sharon Pertiller protecting? Was it the students and teachers, or was it Dr. Joseph? When the budget got messy last year and a call went out for people to speak at the board meeting, were they asked to support the budget or was it to support Dr. Joseph? Is the primary function of the Community Superintendents to look out for the interests of students, teachers, administrators, and families, or is it making sure none of those parties get too close to Dr. Joseph? Look around you. Dr. J and his team have been here for 2-plus years, but where are the followers? You’ll find a fair amount of those who are “co-operators,” but do they really believe in the work? Do you ever read, or hear, an impassioned defense of the work being done in MNPS as directed by Dr. Joseph’s team? While France occupied Algiers, Algerians realized that they needed to cooperate or face dire consequences. The French were entrenched and weren’t showing signs of leaving, so many compromised. Retribution for Algerians opposing the policies of the French was swift and harsh. MNPS is currently no different. As I told one of Dr. Joseph’s team members several weeks ago, people look at the examples of Vanessa Garcia, Scott Lindsy, Kris Elliot, Jill Speering, along with others and they see what happens when you oppose this administration. Programs get canceled, positions get eliminated, and your name gets publicly smeared. I thought that up until recently teacher attrition had started to level off. Unfortunately, last week the stories of teachers leaving started to circulate again. Many are starting to plan their exits, and some are just walking out. Last Friday there were over 300 unfilled sub vacancies. That should concern people. Word on the street is that a group of principals tried to discuss this, among other concerns, with Dr. Joseph. Details remain a bit sketchy, but from what I can piece together, these principals asked for a meeting with Dr. Joseph in order to try to mitigate some of the issues that have arisen and to attempt to forge an alliance with him to create better outcomes for kids. It was a small group and the expectation was one of a personal meeting between themselves and Dr. Joseph. Instead, the director chose to bring his pack of enablers and use the meeting not to listen but rather to reinforce the pecking order. Once again, another opportunity missed. Dr. Joseph has referred to himself as a researcher at heart. As such, he should recognize that occupations never last. No country has ever successfully occupied another, and employing that strategy as a leadership model is only going to meet the same end. Leadership is not a result of holding a position. I always tell young managers that you are not a manager or leader because you were hired for the position. You are a manager because those who you are tasked with leading have chosen to follow you. If they decide that they are no longer going to follow you, then you are no longer a manager, whether you hold the position or not. Just like Dr. Joseph says, you can’t remediate your way to success, and you also can’t fire to success either. Those with options will exercise those options. There is nothing worse, and less indicative to success, than trying to manage people with no options. It’s not a recipe for success. The question is fast becoming not when this will end, but rather how much damage will be done before it ends. My biggest fear is that people will continue to become disenchanted and in turn disengaged. I say hold tight and hang on because we are going to need everybody’s full involvement to right this ship. And we will be righting it. Right now, three board members – Fran Bush, Jill Speering, and Amy Frogge – are beginning the process, but if you want the occupation to end, you have to get involved. This is too important to just sit on the sidelines and wait for change. We have to be the change. Which brings us to the other question that I am often asked, and one I don’t have an answer for, “Who is Dr. Joseph listening to?” I subscribe to the leadership theory that a leader is only as good as those who advise him. In order to be a good leader, you must have strong, informed advisors around you. Advisors who are willing to offer well-researched counterarguments to both your other advisors and you. Everybody, I’m sure, remembers the book about Lincoln from a few years ago, Team of Rivals. So who is advising Dr. Joseph? 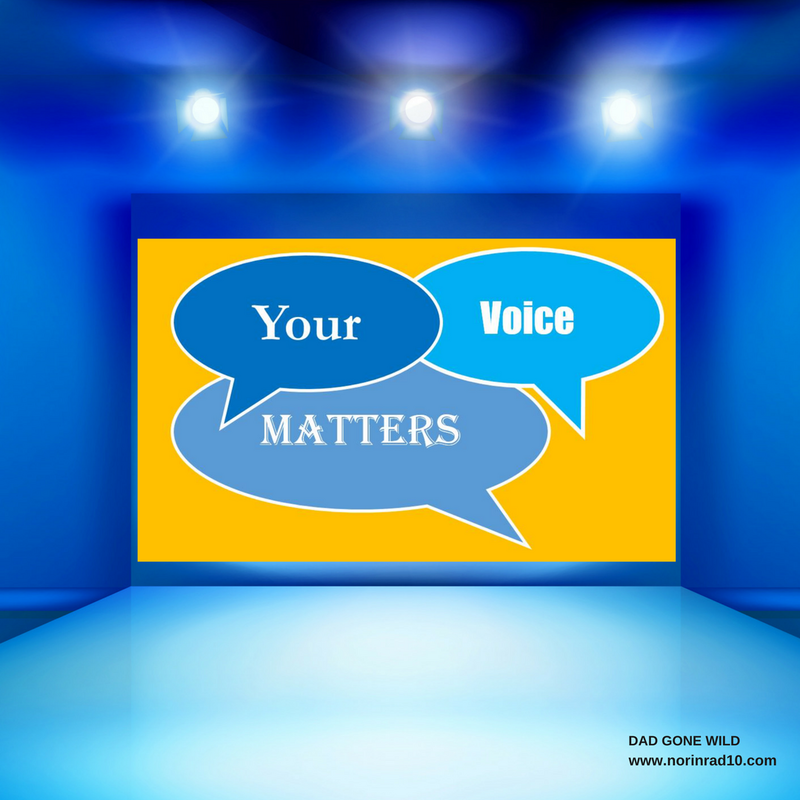 Who is making him dig deeper and be better? I honestly can’t tell you. There has been no indication that anyone on his executive team does anything but echo his pronouncements. Upon his hiring, the word was that it would be his mentor and former Maryland Superintendent of the year Jerry Weast who he would listen to. But over the last year, I’ve seen little indication that the two still communicate. And I can’t believe that based on Weast’s past successes, he would be a supporter of Joseph’s recent actions. Some speculate that it is Nashville Public Education Foundation Director Shannon Hunt or Scarlett Foundation head, Tara Scarlett. I would point out, though, that while the organizations the two head have both readily given cover to Joseph’s missteps, neither of the two have deep educational backgrounds. Hunt’s background is primarily in politics and Scarlett’s is in business. There has been some talk that Joseph has formed a bit of an alliance with the other urban heads, Shelby County’s Dorsey Hopson and Hamilton County’s Bryan Johnson. However, both of them seem to be on a different trajectory and several people have downplayed to me the relationship between the three. Previous advisors have been former Baltimore Superintendent Dallas Dance and current Guilford County Superintendent, and fellow Learning Forward Board member, Sharon L. Contreras. Both of whom have had their own issues to deal with. Let’s not forget that last spring, former Knoxville Superintendent Jim McIntyre was seen around executive meetings. That’s a scary one. Perhaps he’s been listening to board members Sharon Gentry and Will Pinkston. After all, Pinkston’s been crafting his letters to the editor and the department of education. Dr. Joseph has always been one to talk about his close relationship with Nashville Mayors. Maybe that’s who’s advising him. Though I’d argue about the quality of advice either could offer him. It’s clear he’s not talking to anyone at the Tennessee Department of Education. I thought it might be his fraternity brothers because he spends a great deal of time with them, but I’m told they function primarily in a support role. I don’t know who it is, but I hope he’s thinking about expanding the circle because currently he is not being served well. “National Day of Concern – Students against Guns: Nashville Hope Dealers.” It will be held at Vanderbilt (John Seigenthaler Center – Lecture Hall) on Wednesday, October 17th, from 5pm to 7pm. Just last year, Nashville experienced a 20-year high in homicide rates, which ¼ of the 108 murder victims were juveniles. On average, 15 juveniles are arrested daily in the “It City” of Nashville. Our youth should not have to ponder the question “Can I Live?” It is long overdue that we come together and make a stand to change the narrative of Nashville’s Gun Violence. Participating as a city in the National Day of Concern with The Student Pledge is a way to start the conversation about gun violence with our youth that are affected first hand by these shootings. I truly believe, individually and collectively our young people are an incredibly powerful force for change, their voices are a vital component of the solutions needed in this city, and we have to provide space for their voices to be heard. My hope is that key stakeholder in our community from elected state and local leaders, to law enforcement and our judicial system, to local universities, to students and our families around the community will show up and unite together with a common goal: to pursue peace in an effort to reduce the shootings and homicides in the “It City” of Nashville. Pearl Cohn High School recently opened a new health center in partnership with the Matthew Walker Comprehensive Health Center. This should prove beneficial to both students and the community and is fantastic news! Please join teachers and parents in a community discussion about solutions for discipline in elementary schools. What supports do you really need to create a positive classroom environment? I wasn’t mistaken. I urge you to read Peter’s take on the opportunity myth myth. Thanks to PENCIL and Nossi College of Art, students at Bellshire Elementary Design Center received a donation of new art supplies! Fantastic! Will Hoge has a new album out. You probably out to check it out. Wow! MNPS Libraries circulated 58,906 books in September! That is a lot of reading! The U.S. Department of Education has named Metro Nashville Public Schools’ Hume-Fogg Academic High School as one of 349 National Blue-Ribbon Schools across the nation. The program recognizes public and private elementary, middle, and high schools based on overall academic excellence or progress in closing achievement gaps among student subgroups. Well you are right that there are not many impassioned champions of the administration, just co-opteraters (so to speak). I see administration’s original sin of lack of interest in the boots on the ground as being about something different, and something not really as dramatic as the novel you are reading. I see it more as trying to repeat what they thought worked in MD. There, they used program after program from off-the-shelf solutions and it seemed like it worked. That may work if you have masses upon masses of very inexperienced teachers. Here, the administration has actively worked to piss off the people with the most experience. Pretty soon, you’ll have nothing left but masses upon masses of very inexperienced teachers in the system. Ergo, off-the-shelf rarely fixes anything unless if was so broken to begin with that you needed to start over. We are now quickly arriving at a spot where community leaders think that’s the state of MNPS. This is a dangerous alignment of SJ’s goals with the dark forces within the community which will tear down MNPS in a moment’s notice. If there’s anyone in the central office left with any leverage who reads this stuff, please for the love of God start listening and ACTING on what the most experienced boots on the ground are telling you. I do know that there are so many new Teachers and and they are already in deep mire. I feel for them but it is so tragic that they have no support nor mentor themselves maybe the “Directors” frat buds can volunteer and support these neophytes and sub as well as their is a shortage. Just a thought. And there is truth that all the missteps and issues are just what the ed reform movement have been waiting for and it is a great opportunity to finally remake the district in some way they did in NOLA after Katrina. Hey Tennessee seems to be ground zero for weird experiments. Read the book about Theranos that crazy broad was using cancer patients here to test her fake blood testing system. YIKES. Heck she is out of job let’s toss her in the mix. Tennessee deserves better once a leader now a follower maybe that needs to change. But that requires heavy lifting and well who wants to do that?! There is little good coming down this road post election regardless of who wins. I also found this about the Teachers on Leave and the parallels again cannot be lost. What are the current numbers of staff on leave even medical reasons. Hmm.. I sincerely don’t know if I can buy the phrase “this too shall pass” at this point. We are being HAD, and the impacts are going to stick for a long while. hurricanes and tornadoes ‘pass’ too, leaving lots of destruction in their path that takes years to clean up.